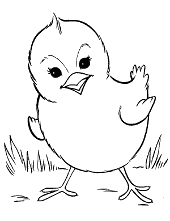 It is true – not all birds can fly but we believe that all are beautiful. 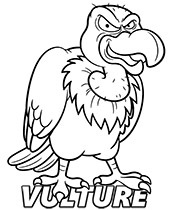 And on this set of free bird coloring pages for children, you will find a lot of different species from different countries and continents. Eagle, owl, hen, parrot, duck, pelican, toucan, peacock, ostrich only to start with. Some of them are colorful but not all. Most of them can fly but some of them not at all. 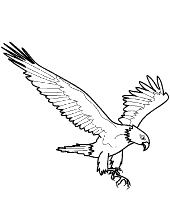 Some are active only at night and the others are very skillful day predators. Which do you like the most? 1. 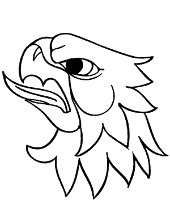 Which bird is a popular symbol of wisdom? Symbol of wisdom is an owl. 2. 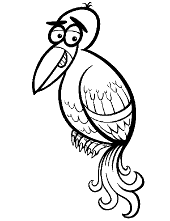 What’s the name of a popular small bird which name is also a last name of a captain Jack from Pirates of the Caribbean? 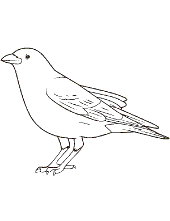 This bird is a sparrow. 4. 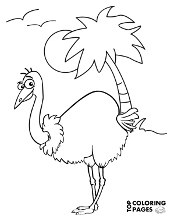 What’s the name of a flightless bird from New Zealand (the same name has also a popular green fruit)? 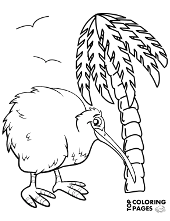 This bird species is a kiwi. 5. 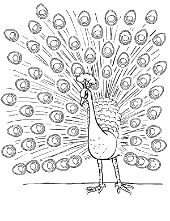 Which bird is a symbol of pride? 6. 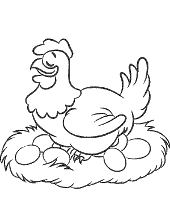 Eggs of which birds can usually be found in most refrigerators? 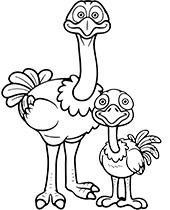 The ostrich is the largest living bird in the world. It’s also the fastest runner of all birds. It can run at up to about 70 km/h. The smallest living bird in the whole world is a hummingbird. 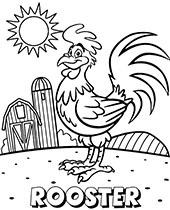 Calm and harmless chicken is the closest living relative to the powerful and extremely dangerous dinosaur Tyrannosaurus Rex. An arctic tern takes probably the longest journey from all birds. In one year it can overcome 35 000 km looking for the best living conditions. Penguins have a truly unusual resistance to hunger. During breeding season they’re able to survive a few months without any food. Emperor Penguin is able to survive up to 115 days without food. 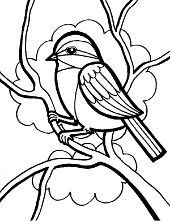 A grosbeak has such a strong beak that can split pits of cherries, sweet cherries, and plums in a half. 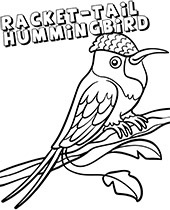 Hummingbirds are the only birds that can fly backward. 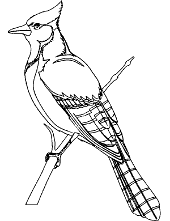 Woodpeckers can peck 20 times per second. 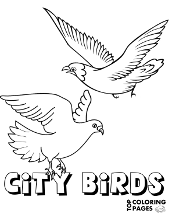 There are more than 10 000 different species of birds worldwide. I believe I can fly, I believe I can touch the sky! Probably each one of us would like to have wings and be able to fly. Unfortunately, natural wings are reserved only for birds, not for humans. 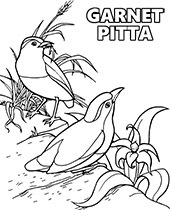 But here we present a great selection of printable bird coloring sheets for children with wild and breeding ones. You’ll find here numerous species e.g. 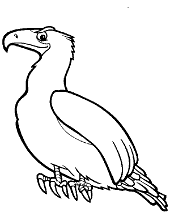 parrot, hen, eagle, owl, peacock, woodpecker, pelican, toucan and much more birds from all around the world. What is more, we even have a penguin from Antarctica. All of them definitely need more colors so we invite you to do something with it. 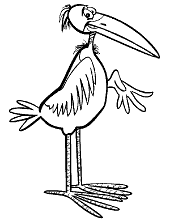 And afterward, of course, check out our quiz and learn some interesting facts about birds. 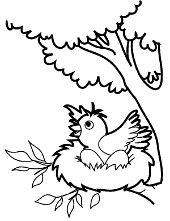 The best bird coloring pages for kids and adults only on top coloring pages net. Just remember to visit us regularly!